Hi, my darlings! One more day to Friday! YAY!! 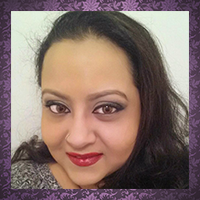 And I have one more post to share with you all! 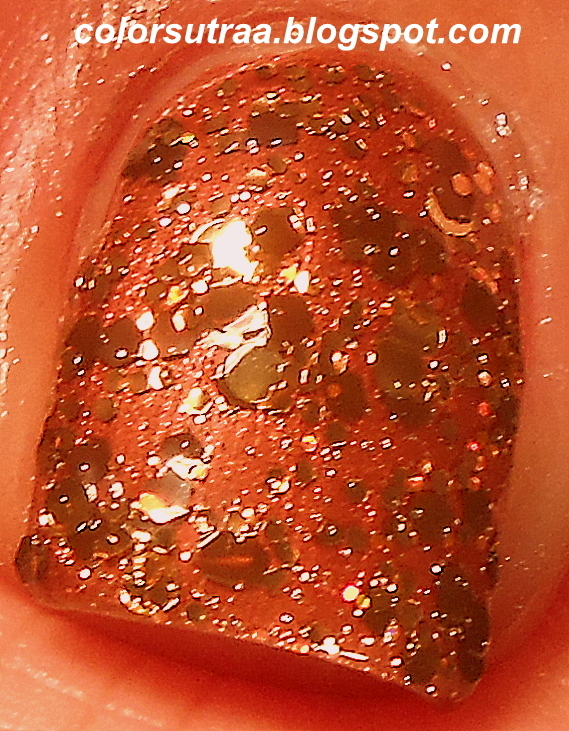 Today, I'll show you the Fall Duo created by Sweet Heart Polish plus a bonus glitter topper! Now this indie brand is completely new to me, so I started out with no expectations and didn't see many reviews around, so I can honestly say that I went into this review with a completely unbiased, open mind! So, let's see what I thought of this brand, shall we? The first of the two polishes from the Fall Duo is Wheat Penny--a lovely milk chocolate brown polish with a copper shimmer. I had no issues to report with application or formula and the swatches below show 3 smooth coats, topped with 1 coat of G&G's HK Girl. Isn't this such a pretty color for Fall? The other half of the duo is Attack of the Crunchy Leaves--a clear glitter topcoat filled with small gold, brown and caramel glitters in various shapes, including small circles. The swatches below show 1 thin coat on all fingers, except the middle finger which shows 2 coats, over 3 coats of Wheat Penny, topped with 1 coat of G&G's HK Girl. I really liked the small gold circles in this polish! With 1 thin coat of Butter London's Matte Finish Topcoat, with and without flash! 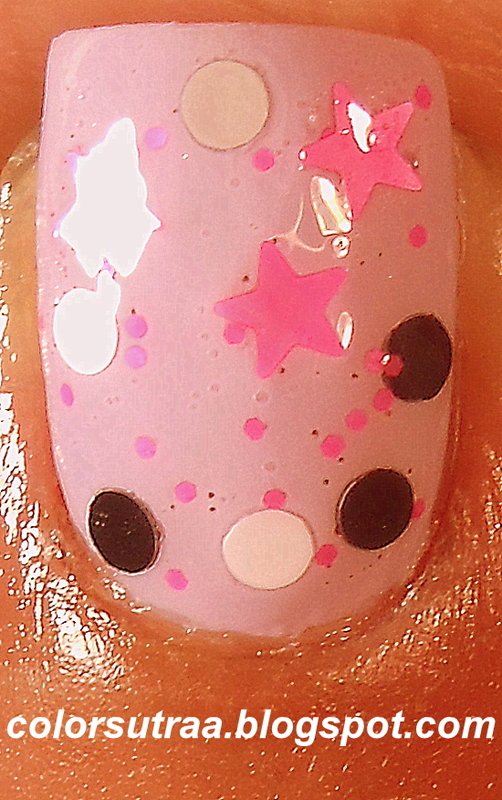 Last but not least, I have a bonus glitter topper that was in my review package--Pop Star is a super pretty clear topcoat with black, gray and white circles, neon pink stars and and teeny tiny hot pink hexes. No issues with application or formula and the glitters came right out with minimal effort--I did, however, use the dabbing method to place them where I wanted them. 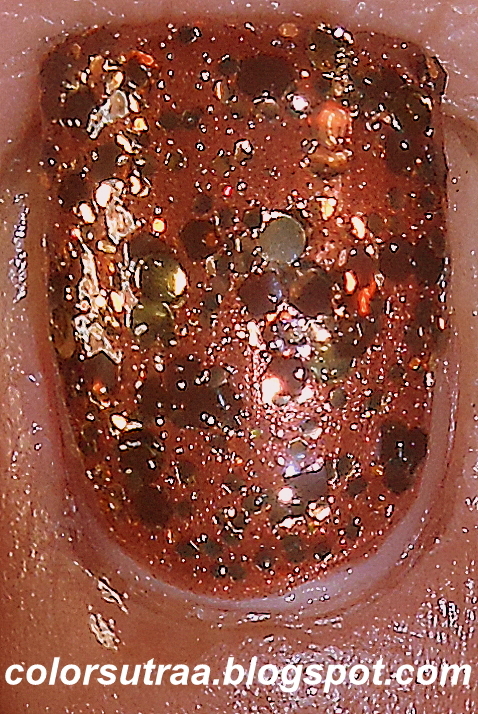 The swatches below show 2 smooth coats over OPI's Rumple Wiggins, topped with 1 coat of G&G's HK Girl to finish the look. I really liked this look! So there you have it, my darlings! My first review of Sweet Heart Polishes and overall, I was quite satisfied with the quality of these polishes--if you would like to purchase any of these beauties or check out what else her shop has to offer, you can find them HERE for the price of $9.00 for each full sized, 0.5 oz bottle or $16.00 for the duo. What do you think of these polishes? Will you be adding any of them to your collection? I always like to read your comments in the comments section below! LOVE all the glitters & holos, but would love to try out the HK Girl top coat! I want the Jindie polish prize!